What shall become of her? Her survival rests in the hands of a new generation, but will they embrace her touch or repel it? Starry eyes still fill the souls of her people gazing on the past or will she guide them towards the future? How will she be remembered? With full hearts or anger? Shall she be looked upon with pride and joy? Or will her memory fade. If you are like me you have seen your homeland taken over by carpetbaggers, Yankee transplants and this new crop of “Southern” agitators. As new generations come up believing the war was fought to free a certain race of people, we lose our traditions to political correctness. History now teaches that “Old South” bad so they must be changed to appease their progressive overlords. A year ago I moved to Northwest Arkansas to marry my dream girl but instantly I was hit with cultural reconstruction. My way of thinking was not welcome nor tolerated by this new generation of “Southerners”. Posh restaurants, bars and coffee shops dotted the landscape and were frequented by skinny jeans, colorful hair and soy boys. To my surprise their are gender less bathrooms and a significant population of people who seem to prefer socialism over traditionalism. I imagine it is the same for every other Southern state, we are being reconstructed again one generation at a time. It saddens me to see this progress, but can we return to who we are as a traditional people? Once this fad of modernity moves on in a few years where with this generation stand? With progress or tradition? 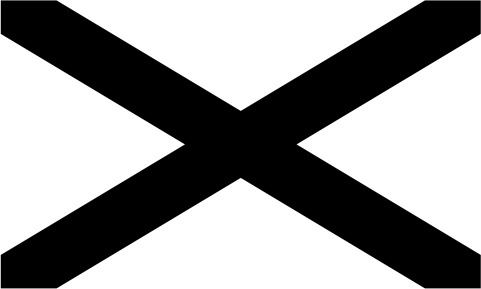 Now, there is a movement to remove one star from our beautiful state flag which represents our time as a free state under a free nation from 1861-1865. I don’t want to weep, i want to implore future generations that we are a beautiful and distinct people and yes our past is checkered, but our children and grandchildren should know how noble our ancestors are. It is time to reclaim our traditions declare our New War For Southern Independence is upon us before they are lost forever. Why can’t we again make our own way? Why can’t we again determine our future? Why can’t we just separate? Yes, it was tried in 1861 and did not end well for us. But the same fire to self determination should remind every American that politicians cannot control your future. If you do not like something don’t you have the option to walk away? If liberals want high taxes, after birth abortions and diversity shouldn’t they have it? I agree they should, and us normal folks should just leave them be and start anew. I believe us conservatives should have our own home. Can we? Sure, what would it cost? Who knows, but hey, why can’t we? I stand with the people of France as they battle the forces of Globalization. Rampant immigration has ruined France and the rest of Europe. A traditional people cannot be replaced with third world heathens and expect a civilization to flourish. Globalist liberals mark their citizens with death with their policies. Nationalism will always win out, a traditional people will always succeed in the end, our ancestors will see to that. I now live in a very progressive part of Arkansas and my oh my how I never thought I would say those words. It seems that I am destined to be left behind and I’m ok with that. Just the other day while working I noticed a bathroom at a local establishment had two signs next to the door which read: Whichever. Meaning you used whatever bathroom you identified as. All I could do was mutter disappointed words under my breath. I don’t want to get caught up in with progressive politics because it can only lead to failure. How can progressives believe in the science of global warming but not the science of biology? I guess common sense is too far gone to be common anymore. Am I the last of a old school generation? Maybe, but dammit I like being different. When in the course of human events, we are called to speak and to represent our own despite the resistance from naysayers, we continue with our mission of self-determination. Though our ancestor’s may have fallen short, we in the modern day continue their goals. A goal of seperation for our own good, and to maintian the proper social order should still be set it motion to achieve our ultimate goal of freedom. No longer shall we apologize for our forebearers and their fight, it is layed upon our shoulders for the burdon. We shall not fall nor fail, for our people should remain stout in the modern day. We shall continue without the blessing of our detractors, though we shall not need it. The struggle is real, our Conservative normacly way of life shall continue without interuption, no matter the struggle. When in the Course of Human events… We shall no longer accept defeat, but continue the fight for victory our ancestors sat forth to achieve. Our spirit cannot be removed. Your quest to erase us will result in your loss. the blessing of generations past. We shall continue the campaign of our ancestors to one day have them worshiped at the level in which they deserve. They were right in their defense of their homeland. The South is my homeland, dying to be free we fight for her.